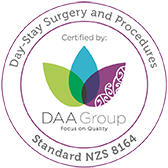 Plastic surgeon Murray Beagley offers a broad range of cosmetic, paediatric, skin cancer and reconstructive plastic surgery. A Consultant Plastic Surgeon at Middlemore, he also directs the Congenital Hand Service at Starship Hospital. In the private sector he has operating privileges at the leading private hospitals including The MercyAscot group, Gillies Hospital, Auckland Surgical Centre and at his own theatre at Plastic Surgery Auckland, Suite 6, 9 St Marks Road, Remuera. He trained fully in New Zealand graduating from Otago University with MBChB and undertook advanced surgical training in plastic surgery, gaining a Fellowship of the Royal Australasian College of Surgeons (FRACS) in 2000. He spent three years of advanced post-graduate training in the UK working in world renowned centres: Frenchay Hospital, St Andrew's Centre, Great Ormond Street Hospital and The Wellington Hospital. At these centres he pursued his interest in aesthetic, breast, hypospadias, hand and paediatric plastic surgery. Murray completed a formal Fellowship in Aesthetic Surgery at 'The Wellington' under the tutelage of several leading Harley Street cosmetic surgeons. During his time in Europe, he gained the Gold Medal for being the best candidate in the European Diploma in Hand Surgery (2002). While in the UK he lectured trainee plastic and orthopaedic surgeons at the Royal College of Surgeons. He has continued to maintain an active role in education since returning to NZ. He has previously been Director of Training at Middlemore Hospital and a selector for the Advanced Training Scheme for plastic surgery. He participates regularly in voluntary surgery missions to the Third World through Interplast. His private practice at Plastic Surgery Auckland focuses on cosmetic surgery, skin cancer surgery and complex hand surgery. Special areas of interest are eyelid rejuvenation, surgery of the breast (reduction and breast lift), genitoplastic surgery (penile surgery and labiaplasty) and abdominoplasty. Murray regularly attends international meetings devoted to aesthetic plastic surgery and is an active member of both the Australasian and International Societies for Aesthetic Plastic Surgery, The American Society of Plastic Surgeons and the New Zealand Association of Plastic Surgeons. Mr Murray Beagley has been voted the new National Secretary for the International Society of Aesthetic Plastic Surgery. "If you think plastic surgery is only about botox, face-lifts and tummy-tucks - think again..."